Sometimes an open office plan needs moments of privacy for concentration or a guest. You never know what reason might come up, but having a little privacy on hand as reconfigurable as your workplace can sometimes be a great thing. So we are going to try to dig up all manner of portable privacy this week. 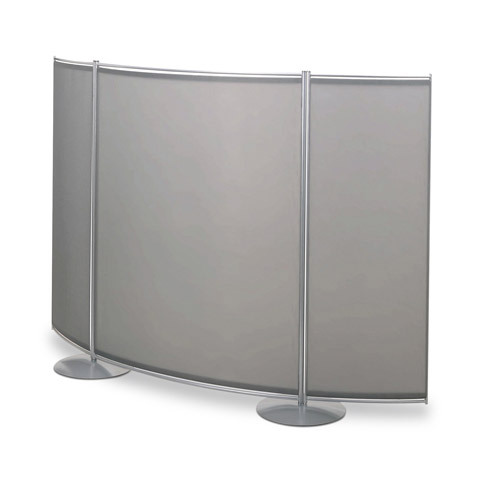 The first is this curving partition by Bretford. 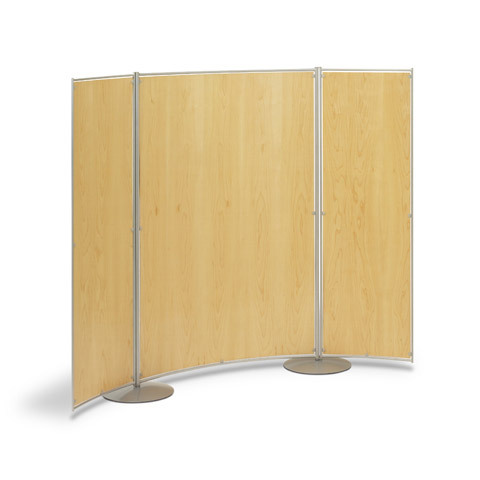 Fabric or wood, creates a bit of enclosure with the curved geometry - nice. ok, what's it really about?